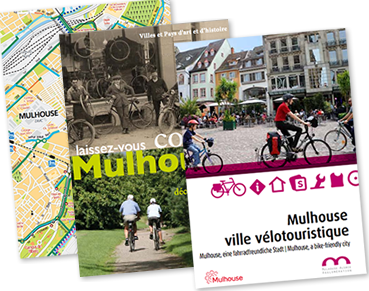 Over 300km of cycle paths await in and around Mulhouse, on the banks of the Rhin, at the crossroads of three Eurovélo routes (5, 15 & 16) and the foot of the Vosges if you’re feeling sporty! The French Federation of Cycle Tourism approved Mulhouse Alsace as a “bike-friendly town.” The award basically means that accommodation, restaurants, museums, tourist sites and bike mechanics do everything they can to ensure your stay goes without a hitch in accordance with specifications drawn up by cycle tourism professionals and the federation. 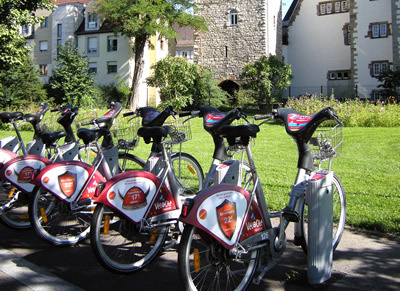 For example, there’s two “bike-friendly town” kiosks providing a repair kit and cycle paths designed in collaboration with the Ville d’Art et d’Histoire so you can explore Mulhouse’s heritage. Last but not least, dedicated signage helps you get your bearings and states travel time between the different sites.